Learn to program and start creating with RasPad – a customizable tablet for Raspberry Pi! With its 10.1" (25,7 cm) IPS touchscreen, featuring 1280 x 800 pixel resolution, and stereo speakers you'll start using your Raspberry Pi easily and in no time. The tablet gives unlimited access to all Raspberry Pi ports so that you can develop any project you want. Raspberry Pi is a great invention. But most people are new to it, and it’s confusing to know where to start or how to set it up. Most tablets are not customizable, since they have only one port, making them hard to customize and build. RasPad, a portable Raspberry Pi tablet by SunFounder, offers a solution. It gives you unlimited access to the Raspberry Pi ports, giving you the ability to create customized projects, that suit you. 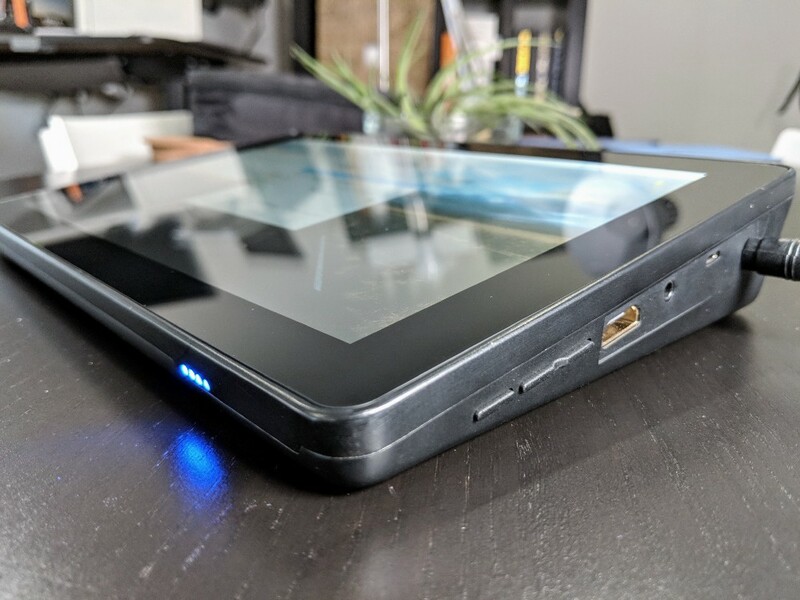 The tablet is simple and compacted with all the accessories you need, so you can start programming or develop your device immediately. The RasPad retains all the ports of Raspberry Pi, which means, you have all the same possibilities Raspberry Pi offers. You can connect the RasPad with other controllers, like any other computer. RasPad offers a Dragit program by allowing programming novices to drag and drop codes to learn. RasPad also has Slot for running a GPIO extension cable to connect additional hardware to your Raspberry Pi, allowing you to develop all kinds of RPi projects. 4 LEDs in front of the RasPad show how full the battery is. You can also use a Raspberry Pi camera module with RasPad. Click here to watch an unboxing video.